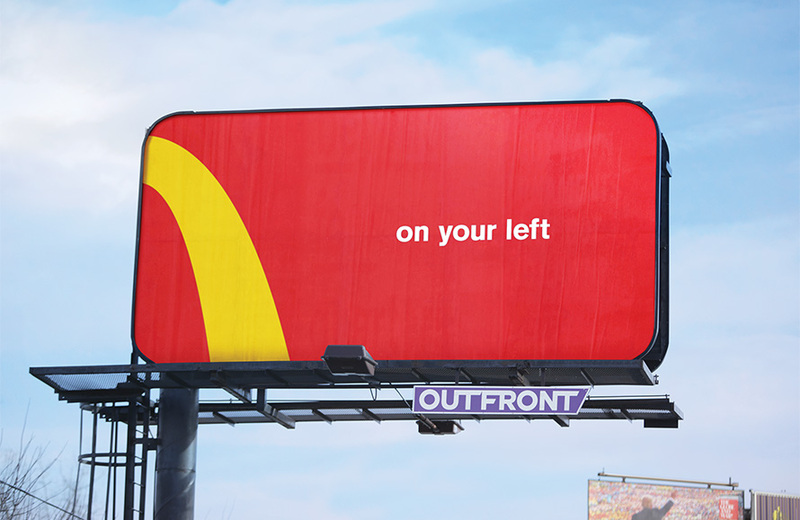 McDonald’s is adapting its Golden Arches logo into directional signage for its restaurants, in a campaign out of Canadian creative agency Cossette. 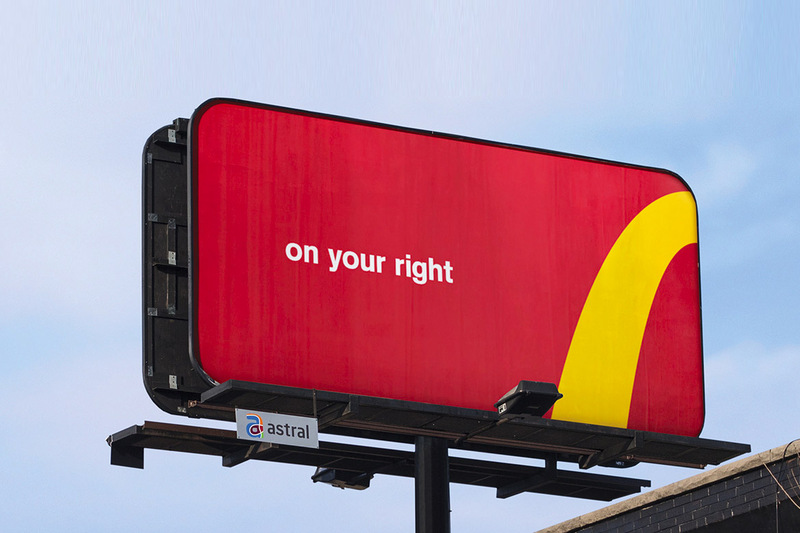 The inspiration for the “Follow the Arches” campaign came from noticing that all over Canada, there were different road signs for McDonald’s resturants, but the branding was inconsistent. 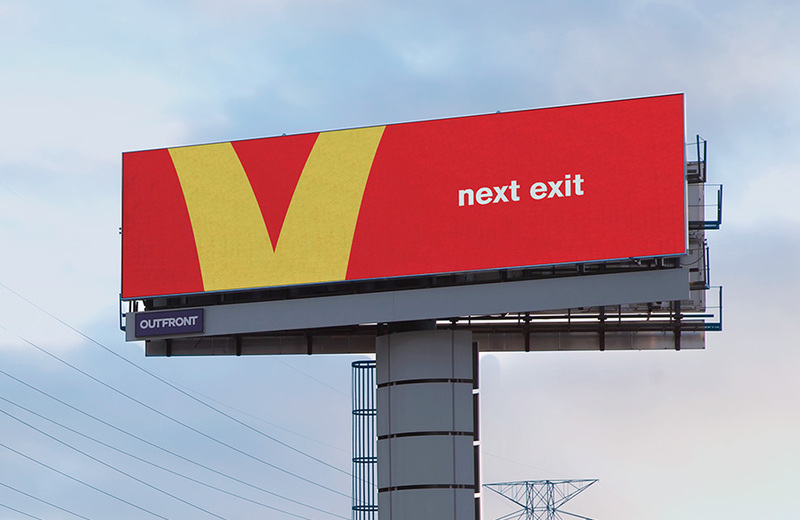 Cossette created a billboard style based on the actual logo, directing drivers to follow the curves of the “M” in the arches in whichever direction they need to go. The out-of-home campaign will consist of four billboards (three static and one digital) in high traffic areas across downtown Toronto and the Greater Toronto Area. However, Cossette hints that it could be adapted worldwide. 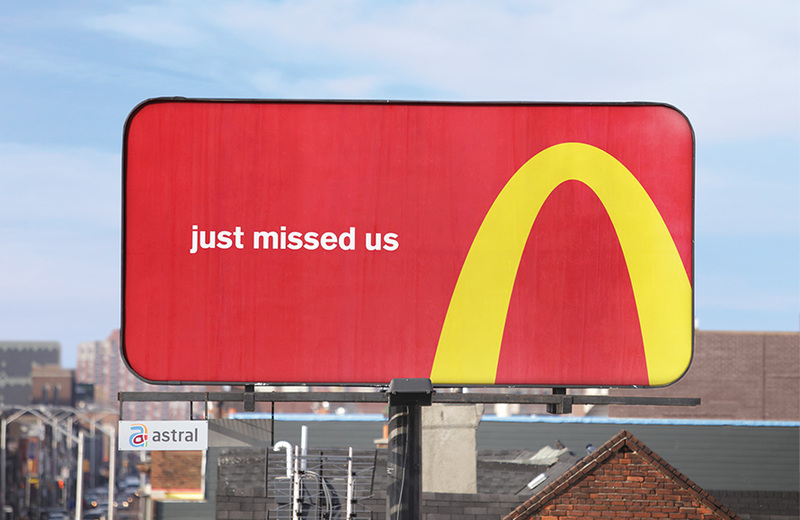 “With minimal text and a creative use of the brand’s colours and logo, ‘Follow the Arches’ not only translates on a national, but a global scale,” says Peter Ignazi, chief creative officer at Cossette, in a statement.